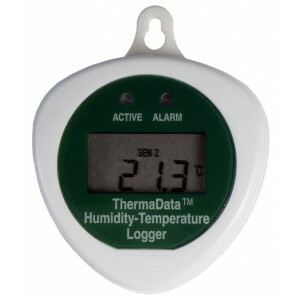 The new ThermaData HTB humidity logger / data logger is a portable blind humidity logger that measures and record both relative humidity (% RH) and temperature over the range of -20 to 85°C and 0 to 100% RH. At programmable intervals, the HTB humidity logger will record simultaneously both temperature and humidity, recording up to a maximum of 16,000 readings (8,000 humidity and 8,000 temperature). 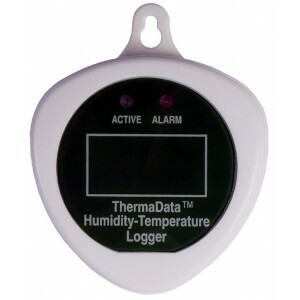 The ThermaData HTB blind humidity logger includes internal humidity and temperature sensors. Each humidity logger incorporates a red and green LED, the flashing green LED indicates that the logger is active/logging and the flashing red LED indicates that your customised pre-set alarms have been exceeded. 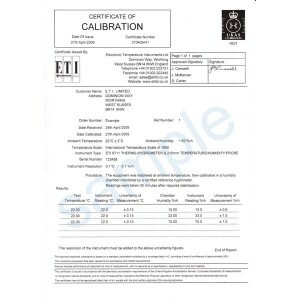 The humidity and temperature ThermaData loggers are suitable for a diverse range of applications which include HVAC climate monitoring, QA control or storage areas and many more. 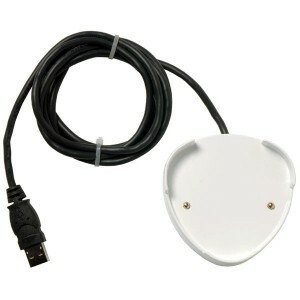 Please note: when ordering loggers it is necessary to order at least one ThermaData logger cradle.